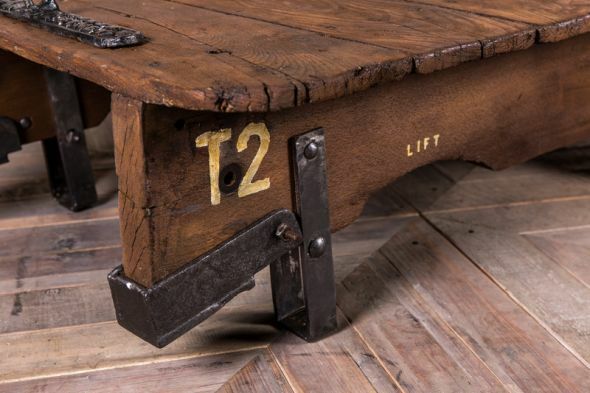 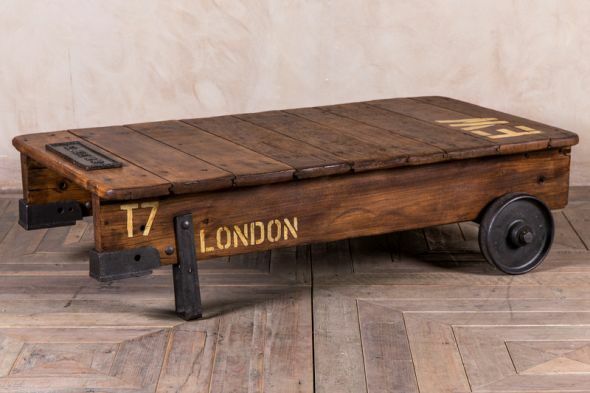 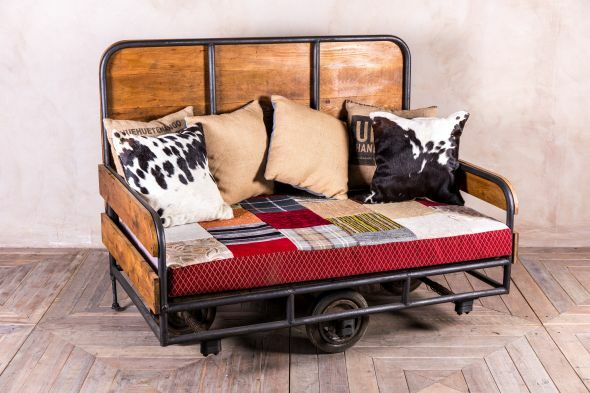 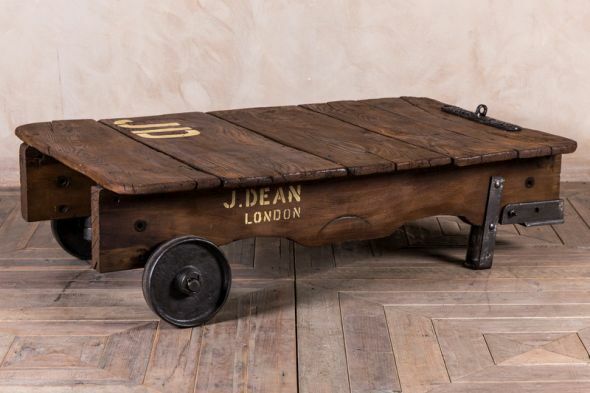 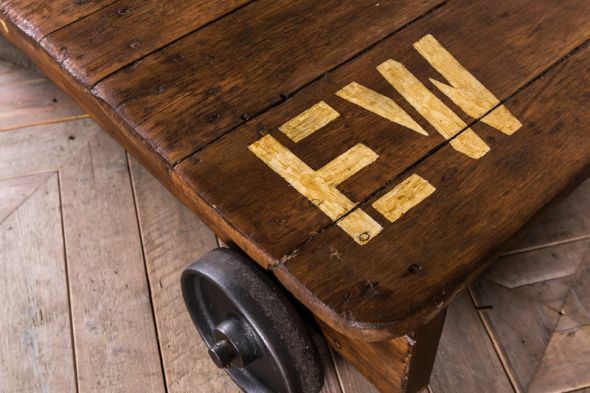 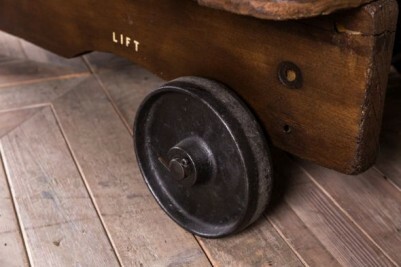 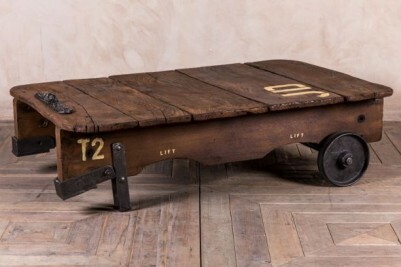 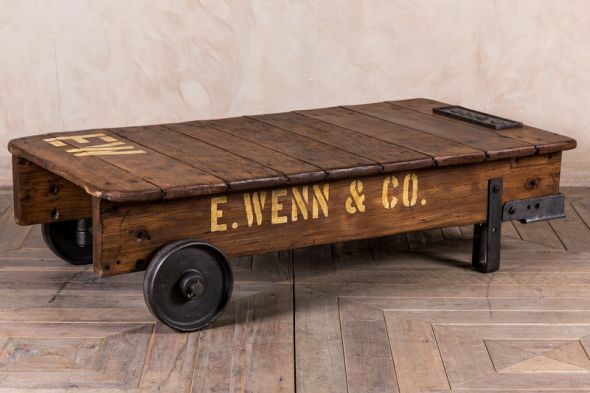 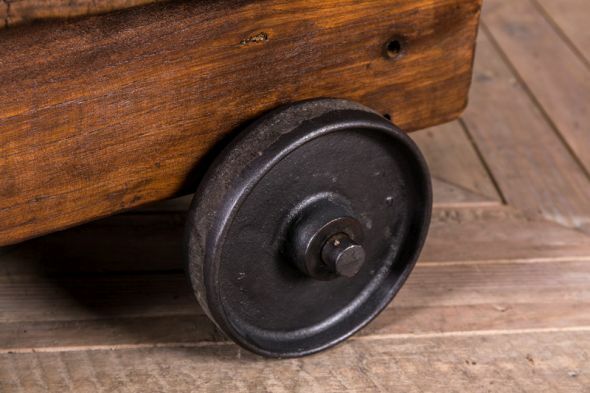 This vintage trolley has been upcycled to create this wonderful low coffee table. 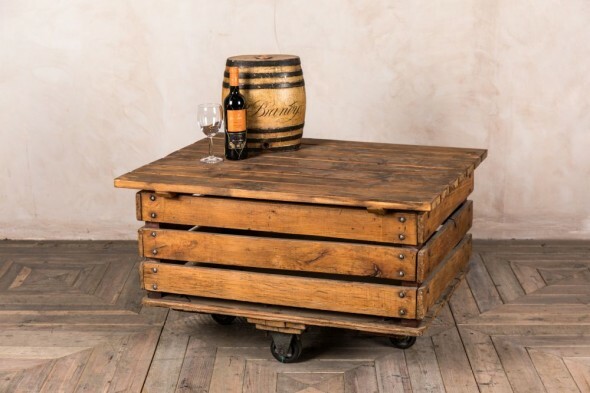 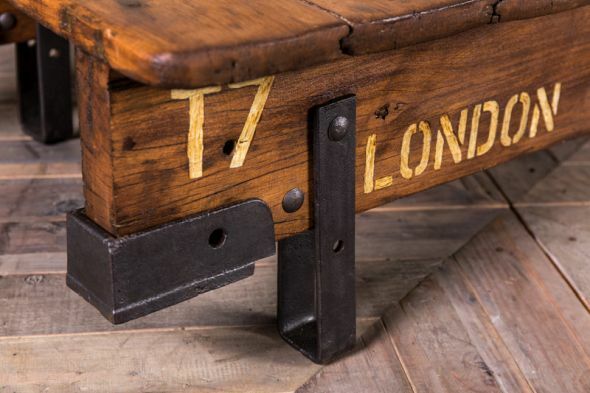 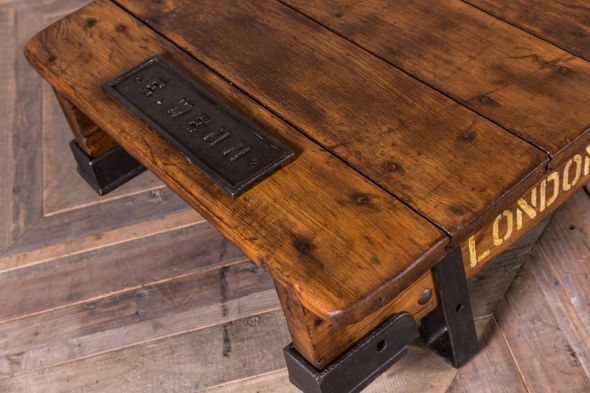 With their vintage inspired stencilling and rustic appearance, these coffee tables are suitable for any domestic or commercial space. A lovely focal point for a living room, coffee shop, pub or reception area. 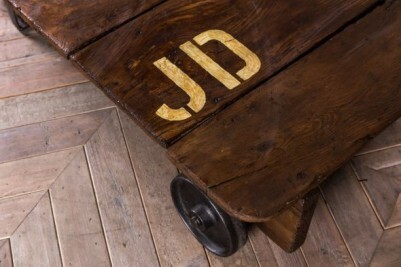 The trolleys are made from elm and pine. 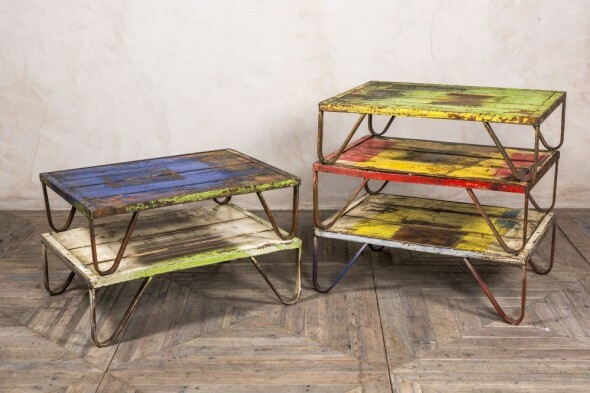 The metal detail adds even more character to these lovely tables. Please note, the print and style may vary slightly from table to table, and we therefore cannot guarantee that you will receive one of the tables photographed. 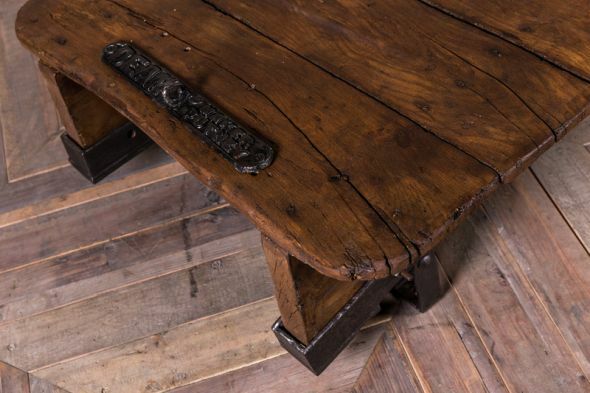 The tables are in good condition; however, as they are upcycled they may have marks and notches consistent with their age.